I’m officially calling this a highlight of 2012! Thanks to homie Azamat B, who has undoubtedly been paying attention to the ever-growing label Body High (DJ Sliink, DJ Funeral), for making me aware of a new Todd Edwards EP available next Tuesday. 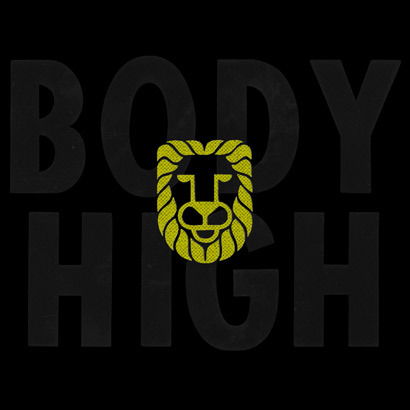 At first Body High seemed like a very unlikely match for the UKG/House legend, but all it took was a few seconds of listening to understand why it makes so much sense. “Todd the God”, infamous for his instantly-identifiable and intricate choppy vocal collages, has obviously been influenced by modern-day bass, ballroom and deep house here. Whoa, don’t worry! This is not some sad story of an endeared O.G Garage producer creating a “poor man’s version” of himself in a desperate attempt to “stay relevant”. The title track Shall Go sounds nothing like the guy we know and love (Christian themes aside) yet not only keeps up with today’s most interesting and innovative dance tracks, but outshines a lot of them! Todd purists will be happy to know that he hasn’t abandoned his signature sound altogether! The Stranger and Hold The Faith somehow manage to stay true to form while delivering something that feels like fresh goodies (rather than warmed-up leftovers). Between classic and contemporary vibes, we really get the best of both worlds on this EP. Expect to hear it everywhere.